MOSCOW, April 14. /TASS/. Russia is convening an emergency meeting of the UN Security Council to discuss the actions by the United States and its allies, which carried out missile strikes on Syria on Saturday, Russian President Vladimir Putin said. “On April 14, the US backed by its allies carried out a missile strike against military and civilian infrastructure facilities in Syria. Without the authorization of the United Nations Security Council, in defiance of the UN Charter, norms and principles and international law, an act of aggression has been committed against a sovereign state, which is at the forefront of the war on terror,” the Kremlin press service quotes Putin as saying. “Russia is convening an emergency meeting of the UN Security Council to discuss the aggressive actions by the US and its allies,” the president said. The Russian leader noted that the US, just like a year ago, when it attacked Shayrat Airbase, used a staged chemical attack against civilians as a pretext. “The Russian military experts who visited the site of the alleged incident found no traces of the use of chlorine or other chemical agents. Not a single local resident confirmed that a chemical attack had taken place,” the president emphasized. Putin also noted that the Organization for the Prohibition of Chemical Weapons had dispatched its specialists to Syria to clarify all the circumstances. “However, a group of Western countries cynically ignored that conducting a military operation without waiting for the results of the investigation. Russia strongly condemns the attack on Syria where Russian servicemen are helping the legitimate government in the war on terrorism,” the president stressed. According to the Russian Defense Ministry, the missile strike against Syria’s military and civilian infrastructures was carried out by US planes and naval ships in cooperation with British and French air forces between 03:42 and 05:10 Moscow time on Saturday. [ Ed. note – The Russian Ministry of Defense has issued a statement citing evidence that “American instructors” are training insurgents in Syria to carry out chemical weapons “provocations” that can then be blamed upon Syrian government forces. The false flag attacks will likely be widely broadcast over Western media and used as justification for a US attack upon the Syrian military, the Ministry of Defense says. You can go here to read the full MoD statement, and here to view an RT report on it. Below is an excerpt from the statement. This is not, of course, the first time that the Russians have issued warnings about terrorists planning chemical attacks in Syria. On February 13 they issued a similar warning, and sure enough just two weeks later–on February 26, an alleged chlorine gas attack took place in East Ghouta. The only thing the Russians got wrong was the place: the initial statement had pointed to Idlib Province as the site of the possible attack. Besides, the Jabhat al-Nusra armed formations with support of so-called ‘White Helmets’ are preparing staged chemical attack near the settlements of al-Habid and Qalb Luza located 25 km northwest Idlib. Therefore, 20 containers with chloride have been delivered there. McMaster Threatens Russia in Speech at Holocaust Museum; is there a ‘Jewish Agenda’ at Work? Departing US National Security Advisor H.R. 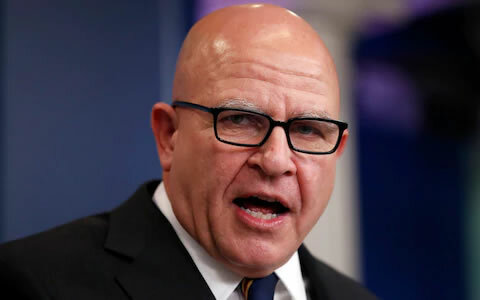 McMaster believes the Holocaust Museum in Washington D.C. is holy ground. He said so in a recent speech there. “We are gathered together this afternoon on holy ground,” he proclaimed. Yesterday it was reported that McMaster has been ousted from his position in the Trump administration. While there were subtle nuances in views on such things as Russia and the JCPOA agreement with Iran, the “personal chemistry” between Trump and McMaster probably had at least as much, if not more, to do with the latter’s departure than anything else. 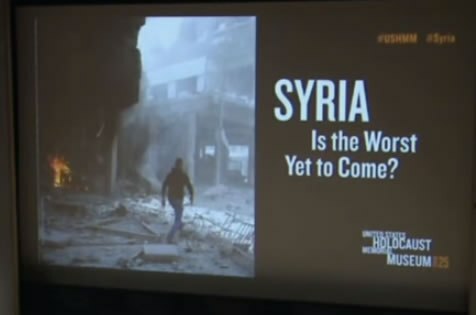 And the general’s speech at the Holocaust Museum, I would contend–a speech given on the 7th anniversary of the outbreak of the war in Syria–offers us some interesting insights into why the anti-Russia hysteria emanating from Washington has ramped up to such dangerous levels. You can go here to access a Politico report on the speech, and here to see a video of it uploaded by the US State Department. As you will observe, McMaster devoted much of the talk to fulminating against Russia. The program also abounded with the usual rhetoric against Syria and Iran. Some of the worst atrocities known to man? McMaster ludicrously seems to be suggesting that President Assad, whose ouster has been openly called for by both US and Israeli officials, may be “worse than Hitler,” as it were. It is a sign that desperation to remove him is reaching new levels. 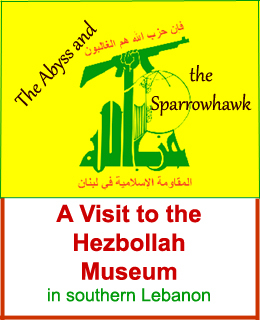 Significantly, the talk was given on March 15, which as I say was the 7th anniversary of the outbreak of the war in Syria–and at several points during the program McMaster made reference to a “Syria exhibit” there at the museum. 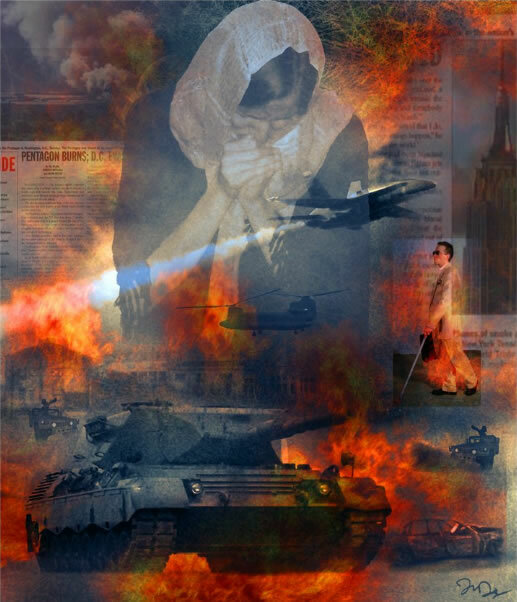 “The Syria exhibit here at the Holocaust Museum details these horrifying crimes through photographs, film, first person accounts, and other documentary evidence. It is estimated that nearly 500,000 people have perished since the war began,” he said. [ Ed. 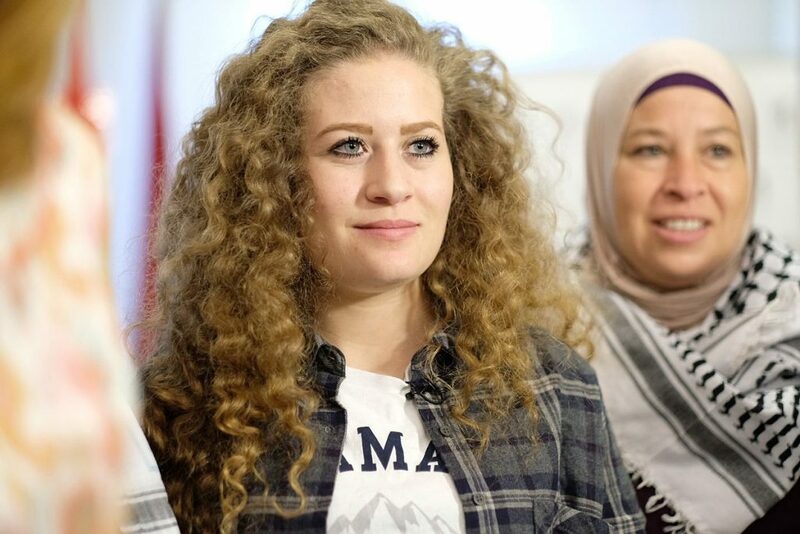 note – Below is a compilation of articles that have been posted in the last 24 hours or so on the arrest of Ahed Tamimi along now with other members of her family. Naftali Bennett, Israeli minister of education, reportedly has called for Ahed to be imprisoned for life. The Palestinian theater holds many stories, including the gruesome fairy tale of Ahed Tamimi, the teenager who is not afraid of slapping IDF soldiers to protect her freedom and family. She may have to pay the price. A child will often prefer to play and stay away from politics, and parents, most of the time, want their kids to be safe. But it’s not the case in the Tamimi family. Ahed, the Palestinian lioness chose to be a political activist, to spend her time fighting for her rights and country, she was only 9 years old when she started getting involved in protests, and now she is an icon of the demonstrations held in Nabi Saleh. “We cannot teach our children silence; they must fight for their freedom.” Said Bilal Tamimi, her uncle. Ahed Tamimi is not the only courageous Palestinian to fight and protest, her fame began in 2012 when a video of her ,yelling at soldiers twice her size when they arrested her older brother ,went viral. It led to her winning the “Handala Courage Award”. And the curly haired teenager kept on fighting to resist occupation until she became a dangerous threat to Israel. Do You Hold Dual Citizenship? You Can Serve in Congress–but not the Israeli Knesset! A few days ago I posted an article entitled Zionists Form Group to Promote Kurdish Statehood, about the latest efforts underway to carve up the Middle East. In the course of researching that article I made a rather interesting discovery: that Israel has a law prohibiting holders of dual citizenship from serving in the Knesset, the Israeli parliament. Needless to say, we need such a law here in the US, but of course anyone who suggests this gets accused of anti-Semitism. A couple of years ago when talk show host Diane Rhem interjected a discussion about dual Israeli citizenship into an interview with Senator Bernie Sanders, Rhem was subjected to withering criticism. The ADL, among others, jumped into the fray, accusing Rhem of playing into “classic anti-Semitic charges of dual loyalty,” and the talk show host was forced to issue an apology. South African Jewish community leaders have expressed outrage at an African National Congress (ANC) official’s recent announcement of possible plans to ban dual citizenship. While Obed Bapela, head of the ANC’s national executive committee’s subcommittee on international relations, has countered that the idea includes anybody with dual citizenship without discrimination, the South African Jewish Board of Deputies and South African Zionist Federation have issued a joint communication condemning the move as discriminatory towards Jews. But dual citizens are banned from serving in the Israeli Knesset and no one seems to get too upset over it. In my article of a few days ago, I mentioned a Knesset member by the name of Ksenia Svetlova, who is passionately advocating the formation of a Kurdish state. According to a Times of Israel article, Svetlova held dual Israeli-Russian citizenship until 2015, when she was elected to the Knesset, at which time she was forced to formally renounce her Russian citizenship. “While Israelis may hold dual citizenship, a Basic Law passed in 1958 states that Knesset members cannot pledge allegiance as parliamentarians unless their foreign citizenship has been revoked under the laws of that country,” the article states. The so-called “Ulchi-Freedom Guardian” war games, an exercise involving tens of thousands of US and South Korean troops, are to get underway tomorrow–curiously on the same day a major solar eclipse will slice across the US. 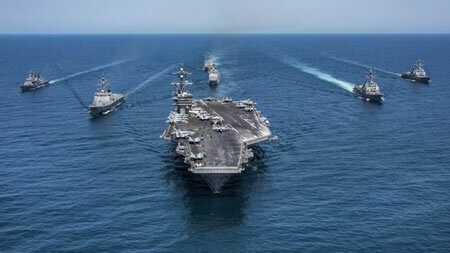 The Ulchi Freedom Guardian exercises set to start on Monday, plus the new sanctions on North Korea by the US and the UN, are making things worse instead of easing tensions on the peninsula, the Pyongyang organ Rodong Sinmun said in a Sunday editorial, Yonhap reports. Indeed, the exercises are “reckless behavior driving the situation into the uncontrollable phase of a nuclear war,” Rodong Sinmun warned. Sputnik puts the number of troops participating in the exercise as “at least 75,000.” The war games are scheduled to run through August 31. The chances of some sort of “incident” setting off a major confrontation appear to be high. Russia and China have both proposed an agreement under which the North would cease missile tests if the US would stop its military exercises on the Korean peninsula. The US has refused. And not only that, but Sputnik reports that a number of US allies, including the UK, Australia, Canada, Columbia, Denmark, the Netherlands and New Zealand, are all planning to participate in the war games as well. Then he listened to General Kim Rak Gyom’s decision on the Strategic Force’s plan for an enveloping fire at Guam at the command post. He examined the plan for a long time and discussed it with the commanding officers in real earnest. 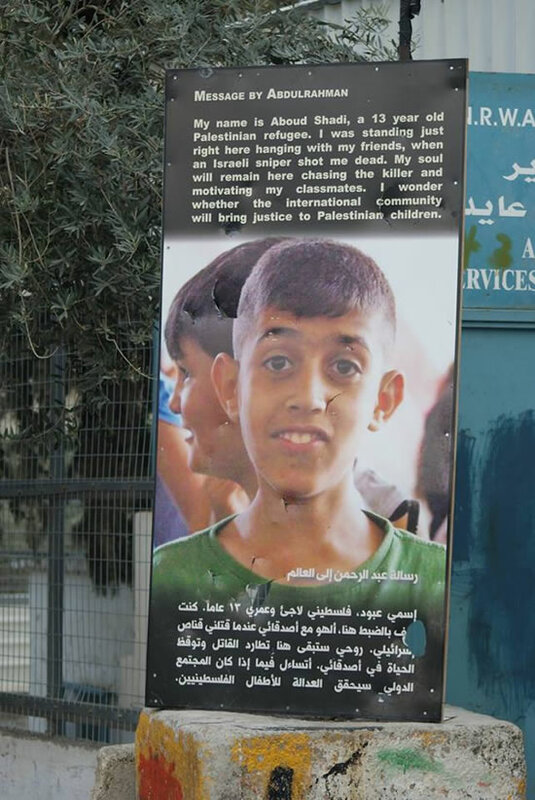 The General Synod of the United Church of Christ is calling for an end to what is being described as “traumatic” practices by Israeli military against Palestinian children. A resolution, brought forward by 16 individual UCC churches, calls on the state of Israel to guarantee Palestinian children younger than age 18 their basic due process rights and to prohibit any use of torture or ill-treatment of detained juveniles in the occupied territories. Needing two-thirds of the votes from General Synod 2017 delegates, that resolution easily had the necessary support, with 79 percent of the votes in favor. An estimated 500 to 700 Palestinian children are arrested by Israeli military personnel each year, charged with a crime and prosecuted in a military court system — instead of a civilian court system that is afforded to Israeli children. This year is the 50th year of Israel’s occupation of the occupied territories — the West Bank (the land to the west of the Jordan River), Gaza (a strip of land along the Mediterranean Sea that borders Egypt and Israel) and East Jerusalem — that it captured in 1967. Proponents of the resolution — including the UCC Palestine-Israel Network (UCC-PIN), a grassroots group of UCC ministers and lay leaders seeking a just peace between the two peoples — believe that the occupation has created two separate legal systems. Jewish children living in the occupied territories who are arrested are prosecuted through civil courts because they are citizens of Israel. [ Ed. note – Back in late February/early March I posted a couple of articles on the Mamilla Cemetery in Jerusalem. The cemetery dates back some 1,400 years, and many Palestinians who are alive today have ancestors that are buried there. But the cemetery has been slated to become the site of a “Museum of Tolerance” that is being built by the Simon Wiesenthal Center with the support and approval of the Israeli government. Christians should ponder the manner in which historical narratives are often manipulated, and should ask themselves why this chapter of history is not more widely known. 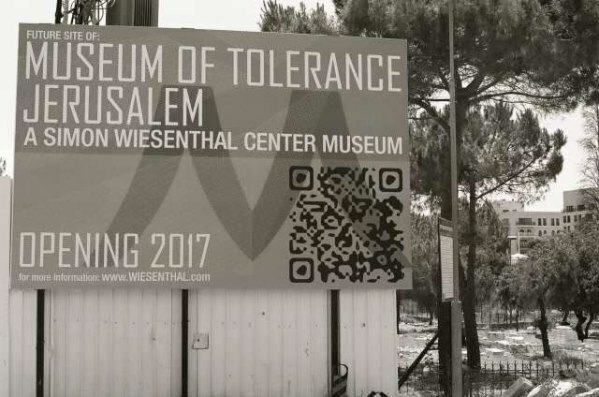 They should ask themselves something else as well: how insulting, offensive, and provocative is it for a Jewish organization like the Simon Weisenthal Center to propose building a “museum of tolerance” on top of a graveyard containing the bodies of thousands of Christians who were slaughtered by Jews? [ Ed. note – Normally Dane Wigington of Geoengineering Watch doesn’t have a lot to say about Israel. 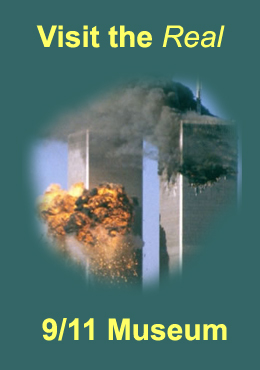 But in this, the most recent installment of his weekly radio show, Wigington gets into a lengthy discussion not only about the UN Security Council resolution on Israeli settlements but also the likely connection between Stuxnet and the Fukushima nuclear disaster. The Stuxnet computer worm is believed to have been developed by the US and Israel. While its first use likely took place in 2009, in an operation targeting Iranian nuclear facilities, the story didn’t come to light until the following year. One of the earliest articles on it was this piece published in ZDNet on September 14, 2010. I am including, among the articles posted below, a piece by a Japanese writer reporting that Stuxnet had been found on 63 personal computers in Japan. That piece was published originally on October 5, 2010. The Fukushima nuclear disaster occurred just over five months later. Stuxnet was presumably developed specifically to target Iranian nuclear plants, but it seems to have gotten loose, spread around the world, ending up, finally, causing a calamity at the Fukushima nuclear plant in Japan. The Iranians dodged the bullet for the most part, while the Japanese got hit with a tragedy they are still dealing with today. 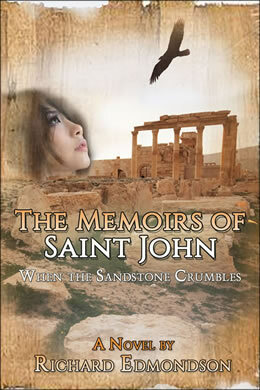 The Memoirs of Saint John: When the Sandstone Crumbles is my latest book.